A while back I joined a Craft Swap on the site Craftsy. A craft swap, if you didn't know, is a program where you get teamed up with another crafter and send each other crafts based on the theme of the swap. The theme I joined was Adventure Time, and seeing as the new season started yesterday, I decided now would be a perfect time to show off some of the things I made and recieved as well as sport the new additions to the iPhone Case family! Finally I have some exciting new things in the shop revolving around the theme of Adventure Time. 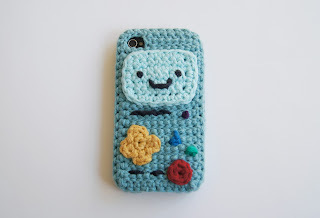 If you haven't already seen the BMO case in the shop a few weeks back, check that out here: http://www.etsy.com/listing/112252720/sale-iphone-4-and-5-bmo-adventure-time? 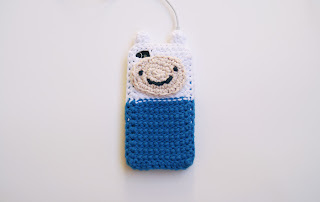 Also check out the brand new Finn iPhone case!